HomeNetworkingAvayaHoly Smokes, it’s Almost NFD Time Again! 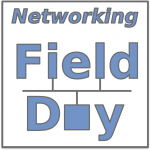 I can’t believe it’s almost time for Networking Field Day 7 (NFD7)! I am thrilled that I have been invited to be a delegate at an NFD again and I am delighted by the list of Delegates and of Sponsors; it looks like it’ll be another good one! Bob McCouch @BobMcCouch Bob McCouch, CCIE #38296, is a networking consultant in Pennsylvania, USA, with over 10 years of industry experience. Edward Henry @NetworkN3rd Ed Henry is a networking blogger that works for a higher education network in New England. Ethan Banks @ECBanks Network architect, CCIE, podcaster & blogger. Greg Ferro @EtherealMind Greg is a freelance Network Architect and Engineer, host of Packet Pushers Podcast and semi-professional writer. John Herbert @MrTugs John has worked in the networking industry for 14 years, and obtained his CCIE Routing & Switching in early 2001. Josh O’Brien @JoshOBrien77 Josh has worked in the industry for 14 years and is now serving as CTO in the Telemedicine sector. Nick Buraglio @Buraglio Nick is a blogger and is currently employed by a major research network provider. Paul Stewart @PacketU Paul Stewart is a Network and Security Engineer, Trainer and Blogger who enjoys understanding how things really work. Teren Bryson @SomeClown Lifelong Network, VMware, Enterprise and Unix Geek; Whiskey Taster; Brain Hacker; Student of Everything. Cancer Survivor. Freelance Writer. Automata Theory. Looking down the list I find myself again feeling overwhelmed by the brain trust whose company I will be fortunate enough to keep for a few days this month. I’ve attended a Tech Field Day event with most (though not all) of these delegates in the past, so I have some idea just how outclassed I am, and I couldn’t be looking forward to it more! As usual the Candyman himself, Mr Stephen Foskett, will be on hand to host us and manage the event. As an unusual treat, rather than having the lovely Claire Chaplais keeping all the wheels moving smoothly in the background, this time things will be handled by some Wireless chick called Jennifer Huber. (Oh man, I have a bad feeling that I’m going to find horse’s head waiting in my hotel room or something as payback for that.) But seriously, good luck Jennifer with this new fun role, and I’m looking forward to meeting you! This is Avaya’s first NFD outing, and I’m really interested to see what they bring to the table. Will we hear about Service ProviderShortest Path Bridging (SPB)? Their SDN play? I guess I’ll find out in about a week! Hey, I just bought a Dell laptop for my son; but somehow I suspect laptops will not be the subject under discussion! Perhaps we’ll talk about Dell’s Active Fabric and the automation framework they have built around that? Or maybe an update on SDN-related support in Force Ten OS (FTOS)? I’m really looking forward to hearing from Extreme. Now, maybe I’m biased towards SDN in my expectations, but it is the buzzword du jour, so perhaps we can learn something about capabilities or enhancements to OneFabric? Like Brocade, Juniper have delivered each time I’ve seen them so far. As you will have noted, I’m working with more Juniper equipment now, as well as with Jeremy Schulman’s PyEZ python library (see posts passim), and I don’t even know where to begin guessing what the topics will be this time. All I can guess is that I will be happy one way or another. Until recently, LiveAction was known as ActionPacked Networks. They’ve just rebranded, and their LiveAction tool provides real-time analytics and network visualization. If the reality is anything like the screenshots this could be a phenomenal product, and I’m very curious to know if it will be able to hook into and benefit from the much high network analytics available in many SDN products. If Plexxi do not bring socks for the delegates, they are missing a trick I say. I loved Plexxi’s website when I looked at it before NFD5, and the product they showed us just about a year ago really does seem neat, as I said when I blogged about it at the time. So now I can’t wait to see what a year has done for their product and where they’re going now. Most recently, Plexxi has been delighted to see Cisco publicly supporting the idea of affinities – the idea behind Plexxi’s own platform. Pluribus is a interesting company. Their main products are the Netvisor™ OS and Freedom Server-Switch™ platform. They seem to be blending off the shelf merchant silicon with an OS that virtualizes the network as well as the server platform and offers the best of both worlds. I want to hear more about this before I comment on it, but based on a presentation I saw last week, this is going to be a really interesting presentation. Tail-F’s name immediately makes me think that they must be a syslog management tool or something like that, but they aren’t. In fact, their tools tie in very nicely to the automated deployment and service chain models of the SDN world, allowing multi-vendor configuration through a central interface. I am definitely curious to see what they show us, as this kind of tool is one that I’ve been discussing with some others recently, and I want to know how close they’ve gotten to the end goal. I hope that gives a little taste of what’s to come. The list of sponsors alone is impressive, and although I’m a little disappointed not to see Cisco in the line up, I think our time is going to be extremely well used by the other sponsors who are here instead. In fact, I’m delighted to see some new (to me) companies and hear from them. I’ll post more nearer the time (and probably during the event) about how to watch these presentations live. NFD events are live streamed in HD and although the delegate group is small, you can all take part by watching the streams and asking questions through the delegates by hitting us up via Twitter hand the hashtag #NFD7. 1 Comment on Holy Smokes, it’s Almost NFD Time Again! I think we’re going to see some awesome stuff next week (and I’m looking forward to it).